Rich Barry is a Baltimore-based guitarist, who plays in a number of different styles, from classical to pop, and who has appeared throughout the U.S. in venues large and small. By the age of twelve he had already studied with nine university level instructors, attended conservatory preparatory at Juilliard, Eastman and Interlochen and had won several music competitions. 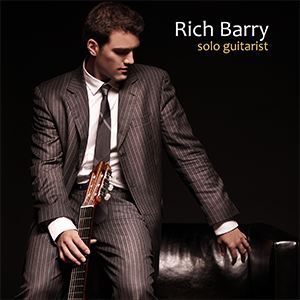 His latest CD is called simply, "Rich Barry: Solo Guitarist". He joins Tom Hall in the studio. Rich will be playing at a benefit for the Maryland Food Bank on Monday night at 6:30 at the Charleston Restaurant in Baltimore. Proceeds from that event will support the Maryland Food Bank School Pantry Program in Baltimore City.